The Nissan Skyline GT-R is a Japanese sports car based on the Nissan Skyline range. The first GT-Rs were produced from 1969-1977. After a 16 year hiatus since the KPGC110 in 1972, the GT-R name was revived in 1989 with the Skyline R32. This car was nicknamed "Godzilla" by the Australian motoring publication "Wheels" in its July 1989 edition, a name that sticks to this day. The R32 GT-R dominated the motorsport in Japan, winning 29 straight victories out of 29 races. The GT-R proceeded to win the JTC Group A series championship 4 years in a row, and also had success in the Australian Touring Car Championship winning from 1990–1992, until the GT-R was outlawed in 1993. The Skyline GT-R (R33) was also the first production car to lap the legendary Nürburgring in under eight minutes. The Skyline GT-R became the flagship of Nissan performance, showcasing many advanced technologies including the ATTESA-ETS 4WD system and the Super-HICAS four-wheel steering. The GT-Rs remained inexpensive compared to its European rivals, with a list-price of ¥ 4.5 million (US$ 31,000). Today, the car is popular for import Drag Racing, Circuit Track, Time Attack and events hosted by tuning magazines. The GT-R is the winner in the 2007 Tsukuba Time Attack held in Japan—the M-Speed GT-R (9 out of the top 15 cars consists of GT-Rs). Production of the Skyline GT-R ended in August 2002. 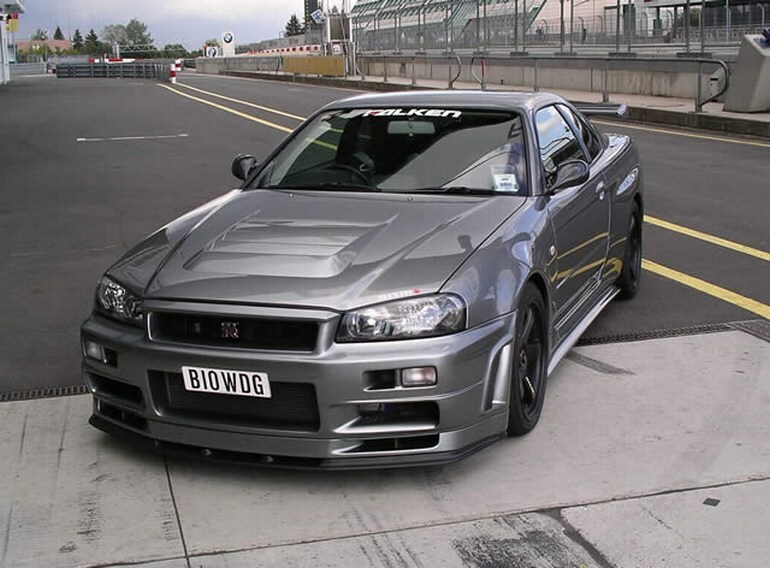 It is now currently called the GT-R and the Skyline name has been removed. The Skyline GT-R was never manufactured outside of Japan, and the sole export markets were Australia & the UK, in 1991, and New Zealand as used Japanese imports. Despite this the car has become an iconic sports car, including in countries from the Western World (mainly the United Kingdom, Australia, New Zealand, Ireland and Canada). It has become notable through pop culture such as cinema and video games like The Fast and the Furious series, Initial D, Wangan Midnight, and Gran Turismo. The car was named by BBC's Top Gear as the only true Japanese contribution in the line of supercars. The car was also named by the main presenter of the show, Jeremy Clarkson, as one of the best cars in the world.